The cities of Berkeley and Fairfax in California have also approved resolutions. Finally, take this letter and information on the situation on Fukushima to local officials and tell them to take action on this critical issue. ENE News has extensive information on this situation, and posts information daily. Deteriorating conditions at the Fukushima-Daiichi nuclear complex clearly constitute an international crisis of epic proportions that requires the highest level of international scientific and technological assistance in an effort to minimize the continuing damage to international health and safety. Prime Minister Shinzo Abe recently appealed to the international community to provide the knowledge and expertise needed to avert disaster. We therefore call upon you to issue an Executive Order directing all appropriate federal agencies to assist in leading an international effort to avert what appears to be a looming catastrophe of unprecedented dimensions. We believe it would be appropriate for the United States, in cooperation with the International Atomic Energy Agency, to lead this effort and to assure that the needed resources will be available. Of greatest immediate concern, the unit 4 fuel rods, which are precariously stored 100 feet in the air, in the damaged unit 4 building, must be brought to ground. Removing the fuel rods will be extremely challenging; but is imperative given the compromised condition of the building and the continuing threat of seismic activity or other natural disaster. Additionally, the reactor cores from units 1, 2, and 3 have melted down and are widely believed to have penetrated the floor of the reactor buildings. The fuel rods and the reactor cores must be continually cooled to minimize the release of radioactivity. Contaminated rainwater and cooling water is contained in 1,000 tanks haphazardly placed on site with almost daily reports of leaks. Groundwater also flows freely through the site resulting in the uncontrolled discharge of radioactive water into the Pacific Ocean. Over two and a half years after the initial disaster of March 11, 2011, the situation remains highly unstable. The Tokyo Electric Power Company (TEPCO) remains in charge of the containment and cleanup of the site, but does not appear to have the resources or expertise to accomplish the task. TEPCO also does not plan to remove the melted reactor cores until 2020, virtually guaranteeing that contaminated groundwater will flow uncontrolled through the site and into the Pacific Ocean for the next seven years. In addition to the requested Executive Order, we also call upon you to assure that the federal government is conducting all appropriate monitoring and testing to assess the level and impacts of radioactive contamination to west coast communities and the near shore marine environment. Our County’s link to these events also encompass personal relationships through Sister City partnerships between Fort Bragg and Otsuchi and between Mendocino and Miasa-Omachi. Given the recent invitation from Prime Minister Abe, it is now both appropriate and imperative that the international community respond to this continuing international disaster without delay. Speeches and discussion about the situation in Japan three years on from Fukushima and the lessons we can learn for a nuclear-free world. Meeting is in Committee Room 10. Enter Parliament by public entrance by central St. Stephen’s Tower. Arrive half an hour early to get through security. Candle-Lit vigil in support of families and people of all ages continuing to suffer the affects of Fukushima.Please bring torch & wrap up warm. “Fukushima” was not the only, not the first ‘level 7’ nuclear accident. On 26 April 1988, Chernobyl in Ukraine also had a disastrous nuclear accident. More than 100,000 residents had to evacuate. Japan may need to learn the lesson from Chernobyl in order to minimize the health damage of the people, and the UK may need to learn the lesson to avoid the accident before it happens. Guest Speaker – Ms Tamara Krasitskava, Chairperson of Zemlyaki, Ukraine NGO in Kiev to represent those who had to collectively evacuate from Pripyat – with exhibition of pictures drawn by children of Chernobyl evacuees. The accident happened on 1986 – fifteen years – after it had been built. 49,000 inhabitants lived there. At 1.23pm on 26th April – there had been a planned experiment at the Station – the fourth unit had to be repaired because of a design fault and staff had had no training. There were three explosions with the pressure between water and steam. One person died immediately and is still buried under the Reactor. The level of radiation was fatal, 1,000 people died with radiation affects. 600,000 people were dealing with the Nuclear Reactor. Seventy firemen participated with the fire and 31 one of them died. Other services helped out – it was such a shock – the Government were not sure what decisions they should make. They knew they had to deal with the radiation – but it was very dangerous. Days later the Russians announced it was the worst disaster in the World – 9 level radiation. Equivalent to 500 x the bombs that the USA dropped on Hiroshima during the War. Twenty six specialists from all over the country were called in to help advise. The Russians didn’t reveal the true picture – the people in Pripyat carried on with their routine life and their husbands and brothers were still working at the Nuclear Power Station. On the 27th April, on the radio (not to create panic)the Government told the population of Pripyat to leave their houses, just taking their important documents and essentials with them – no pets. All the people and 120 boxes were moved to another small village 30 kilometres away. It was a strange time for the evacuees and they each had to be responsible for themselves. On 28th April, over the radio, the Government explained that radiation levels were high, all of Europe, was covered with a cloud. The Government tried to assure the evacuees, the 1st May March still carried on routinely. No further information came from the Government, then the evacuees drew up their own security measures. Ms Krasitskava told us that the evacuees had learnt from their experiences over the last twenty seven years, but, the rest of the World had not learnt anything. She said that she had visited Fukushima, since the terrible earthquake and the three Nuclear Reactor meltdowns and had found the same mistakes repeated there. Governments not talking, 20 kilometre evacuation zones, no accommodation, people living in radiated areas and having to test their food and water. The only difference in Fukushima was that mobile phones and meters, to test food, were being used by the Japanese. The land in Fukushima is private, not public. The water was taken from the Ocean to cool the Nuclear Reactors. The water had been put in plastic barrels and they were damaged – people didn’t want to have these barrels of water on their property. The Japanese Government said that in seven years the evacuees would be able to return to their own properties, which is untrue. The problem will still be there, for very many years the whole planet is in danger because there is so much we don’t know. Ms Krasitskava got to know the evacuees really well and realised that people who evacuated from Pripyat had lost all confidence in themselves as they tried to find their friends, relatives and cultural connections again. It was the radio that was used in Pripyat, and later when they were in Kiev to get evacuees together. She found they all needed help because they had lost beliefs in themselves. It has helped the victims in Pripyat to write their own stories and send them to the victims in Fukushima since the accident in 2011. There were 44,000 people evacuated to Kiev and there are now only 19,000 people still remaining. In April 2011, one month after the onset of the disaster at the Fukushima No. 1 nuclear power plant, demonstrators staged a sit-in outside the head office of Kyushu Electric Power Co. The anti-nuke protesters were still there the next day, and the day after that. On Jan. 14, the activists marked the 1,000th day of their sit-down protest. 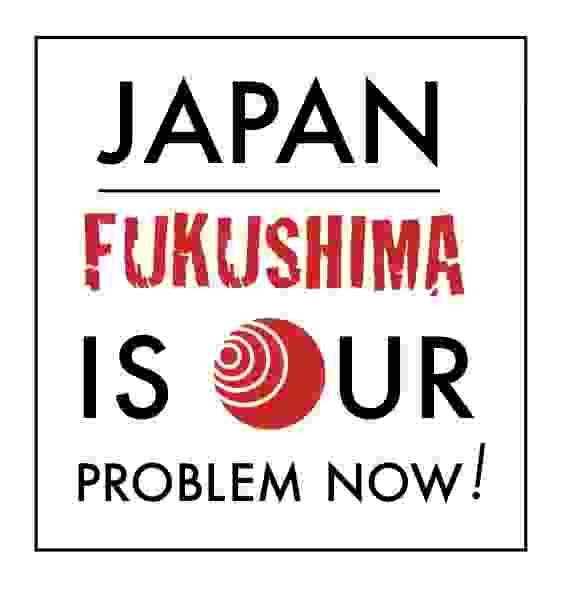 …The protesters now gather outside Kyushu Electric’s main office on weekdays from 10 a.m. to 5 p.m. with banners that read, “Let’s stop nuclear plants.” Each day, they erect two 2.5-meter-square canopies on a sidewalk to shield themselves from the elements. The canopies, bought with donations from supporters, have been replaced three times. In summer months, the sidewalk often becomes baking hot. Some protesters suffered dramatic weight loss from sweating. In winter, oil stoves are not enough to ward off the chill factor from the wind. … The Nuclear Regulation Authority is expected to complete safety screenings for Kyushu Electric’s Genkai and Sendai nuclear plants this year. The Abe administration plans to have idle reactors up and running once they are deemed safe. Worried about Aoyagi’s physical condition, some say it may be time to put an end to the campaign. But the activist said he has no intention of calling it quits. My children cannot play outside any more. Children around here have all got into the habit of walking in the middle of the road to avoid the radiation in dust by the kerbside. They go and ask adults if it is OK to touch the soil even on their recuperation holiday. My wishes today are very different from the ones I had before. Please make my home an evacuation zone. Please make Japan peaceful again. I want to know if adults really think everything is alright? I want adults to get rid of nuclear power plants from Japan because we have many earthquakes here. I want to cheer up people who have evacuated. I want to make everyone smile and feel happy. I want everyone in Japan to rebuild our village. I want to have a dog outside when the radiation disappears. I want to go to recuperation with my school friends. Why do I have to change schools? Everyday, I have to wear a long-sleeved top, long trousers, a mask and a hat even on a hottest day. My mother is always watching TV or sitting in front of the computer, checking news. I’m changing school and there are only seven days left. I’m very sad. I don’t want to go. The TV says Fukushima is safe, but when we go to those talks, the speakers say it is not safe. I worry if I will have a healthy baby when I grow up and get married. My mother is doing all she can to protect me. She stops me from participating in the physical education classes outside. She buys food produced far away from Fukushima. But, I know I’m still taking in radiation bit by bit. My body is contaminated compared to other normal people. My baby might be born with disabilities. My womb may become damaged, and I may not be able to have a baby. I’m prepared for the possibility that I can’t have children. I’m posting the following story at the request of a water spirit I encountered four or five days ago. This was a heartfelt appeal, and I had an image of water spirits in rivers and in the ocean trying to cope with the disruption of their environment by all the ways we are polluting the water. I felt a concern on the part of this little being that there could come a time when pure or drinkable water would be a rarity, and all life would suffer. The sense I had was that many water spirits were weakening under the onslaught of the toxicity that human beings dump into their realm–not that they are poisoned themselves but that their contact with the water is weakened and they are driven back, so to speak, unable to make full connection with the water they serve….it’s hard for me to explain. But the request seemed to suggest that if we sent love and Light and gratitude and good subtle energies to the spirits of water, that they could draw on that to renew their strength and energy in trying to keep the etheric and energetic qualities of water clean and strong. As I said, I’ve never had an experience quite like this. I’m not an alarmist, but the appeal of this being was so heartfelt that now whenever I pour myself a glass of water or take a shower or bath, I tune in to the realm of water spirits and elementals and offer my Light and blessing and strength.